KU dyes is a spin-out company from the Department of Chemistry, University of Copenhagen. The ambition is to provide state-of-the-art fluorescent probes to all forms of R&D. The KU dyes strengths are fluorescent lifetime based techniques, polarisation based techniques, and tailored solutions. KU dyes offer off-the-shelf advanced fluorescent products as well as the tailored probes, made using decades of experience in tinctorial chemistry. 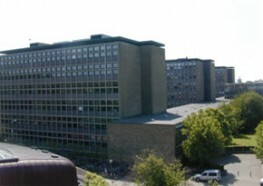 KU dyes are based at the Department of Chemistry at the University of Copenhagen, in the heart of the Danish capital. The KU dyes products are based on Danish molecular design.